As it is, there seem to be no agreement over this issue while at the very centre is the concept of private medical education in the country, although the GMOA is expressly not saying so. When observing these developments the fundamental question that would arise in the mind of any reasonable man is whether the GMOA and the medical students are opposing SAITM or the very idea of private medical education. The SAITM issue has come to the forefront of the political debate again pushing many other issues to a side. 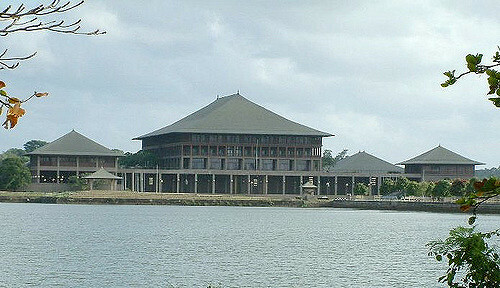 While the student groups and the GMOA who have been fighting against the SAITM have asked for its complete abolition and nationalization of the Neville Fernando Hospital, the government maintains that it would not nationalize the hospital, but take over it and run along the lines of Sri Jayawardenapura Hospital. Meanwhile, arrangements are under way to gazette the minimum standards for private medical education in the country. It is a well-known fact that standards are different even among the state universities. 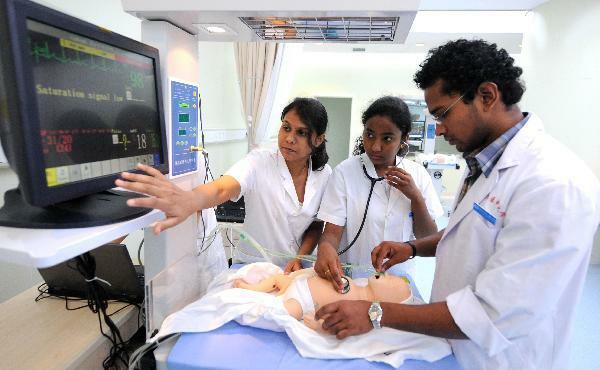 The critics say that the standards in some of the medical faculties that have been started later are lower when compared to the pioneering ones like Colombo and Peradeniya universities. Therefore, a stringent system of uniform standards will help to upgrade the general standards in all such medical faculties. Private sector higher education is quite popular and has a growing demand in the country. Currently, they have degree programmes practically in every field including all branches of engineering; law and allied medical sciences and often they are affiliated to reputed foreign universities. Most of the products of these institutions have ready employment opportunities while a large number of them go for higher education abroad finally migrating to more developed countries. Nobody has questioned the quality or standards of the degrees awarded by these institutions while these graduates seem to have better employment prospects even locally when compared to some of the products of our state universities because of their better knowledge of English, IT, exposure and work attitudes. Despite extensive growth of private sector higher education during the last several decades we have been struggling to launch even one proper private medical school in our country. Every attempt to do so has been scuttled by the GMOA and the medical students on grounds of poor standards. If the standards are poor they can be improved as the country has enough facilities and infrastructure to do so. Another ground for opposition has been the entry qualifications and the admission criteria. The minimum qualification for university education is technically three ordinary passes at the GCE (AL) examination and it is difficult to raise it for medical education. The reason is there is quite a number of our students who gain entry into medical faculties abroad with such minimum qualifications and come back after graduation and enter the medical profession here through the ERPM (Formerly ACT 16) examination. Some of those doctors have become brilliant professionals and occupy some of the important positions in our health system. That shows the quality of the final product cannot be determined only by the entry qualifications. With proper opportunities and determination anyone can progress later in life and that probably is a fundamental right that should not be violated. The increasing presence of international schools in the country also provides a strong case for private medical education in the country. It is no secret that there are several hundreds of international schools and the number is growing fast because of the huge demand for English education. These schools have become a part of the national education system and it is unreasonable to continue to deny them opportunities for higher education in medicine. The demand for international schools grew over the last three decades because the state through its network of schools have failed to provide the country with readily employable school leavers with proper skills such as English language, IT and other aptitudes which are vital in the modern environment. The opportunities in some of the well run government and denominational schools in the cities where these skills are imparted are not available to those who are not connected to those school networks and the international schools were the natural answer to the problem. Now there are international schools in every province and unlike in the past those who attend these schools are not from the elite families. Therefore, the government has the responsibility to give them equal opportunities and the habit of treating them as aliens who should go for higher education abroad eventually settling down in a foreign land should stop. Then there are brilliant students from the urban schools who fail to gain entry into state medical faculties even after obtaining high grades at the GCE (AL) exam because they are behind the required marks by a few points while their peers from the rural areas get in with much lower grades because of the system of standardization currently in force. All hopes of such students to enter the medical profession are dashed despite many years of hard work unless their parents have enough money to send them abroad for such higher education. Despite hardships many parents do that sometimes by raising the necessary funds through sale of valuable family assets and the total amount of money the country loses annually for foreign medical education is a colossal sum. This category would include sons and daughters of some of the eminent medical specialists who are based in Colombo or in other big cities. Some of them may be from rural beginnings, but their professional advancement requires them to live in a city and send their children to popular schools closer to where they live. And many of those children like to follow the footsteps of their parents and dream of entering medical profession, but it’s not easy to enter a state medical faculty from a Colombo school. It is understandable that medical students fear that entry of private medical school graduates could become a threat to their comfortable future. Currently they get free education at the expense of the people of this country and are sure of a placement in a government hospital once they pass out as doctors. Naturally they will not like competition from any new sources either in the government hospitals or in private practice. There are many aspects to this issue and right to private higher education is something that needs to be recognized and when it comes to medical education there has to be stringent quality standards and the state has a huge role in supervising it. The answer to the current problem lies not in abolishing private medical education, but in upgrading its standards with adequate involvement of the state and the medical council. 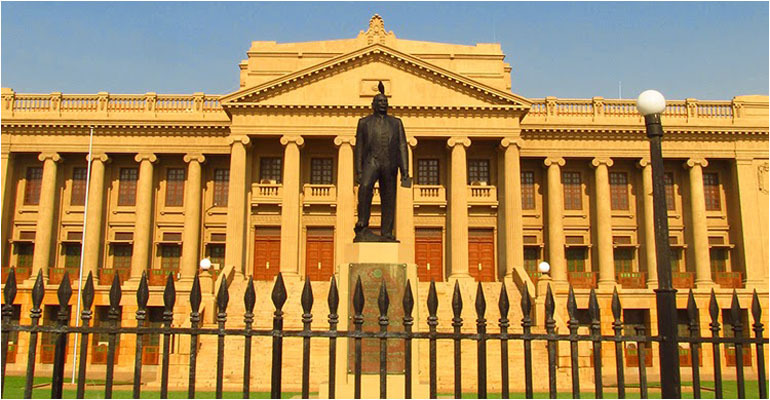 The first medical school in the country was started by the British as far back as 1870 in Colombo and our medical profession owes its origin to British medical schools particularly the universities of London and Oxford. Good many of doctors still go to the UK for their training and their qualifications are still highly revered among the medical profession. That is one side of the story, yet even if one of those reputed British universities want to come and set up a medical faculty here there bound to be massive opposition in the current situation. The GMOA, particularly the senior consultants in it, should look at this issue impartially and try to mete out justice to all. The future dignity of the profession will depend on the manner they handle this issue and they should not leave room for the ordinary man to think that their actions are motivated by factors such as professional jealousy and protectionism.